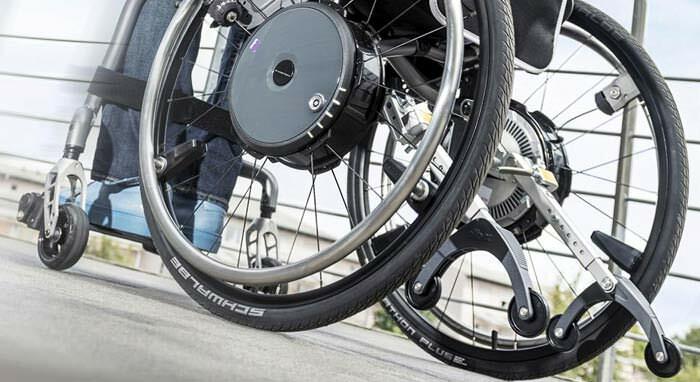 The Levo LCEV kid & junior standing manual wheelchair is an active, agile manual wheelchair that gives your child life enriching standing at the touch of a switch. 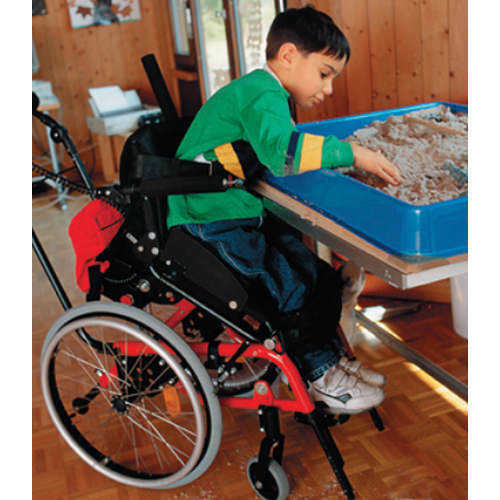 LCEV kid & junior standing manual pediatric wheelchair supports many optional accessories, such as attendant switches and stroller push handles, fully integrates the Levo LCEV kid & junior standing wheelchair into your full range of family activities. 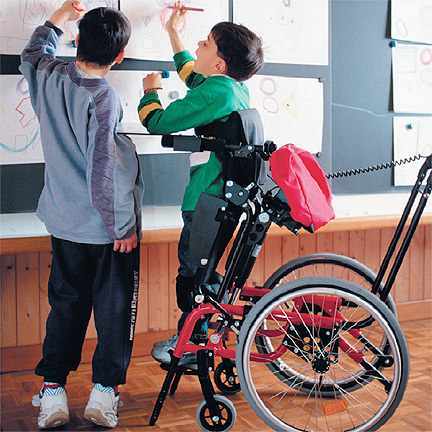 LCEV pediatric standing wheelchair can help in bringing your child to any position from seated to full standing and any spot in between. 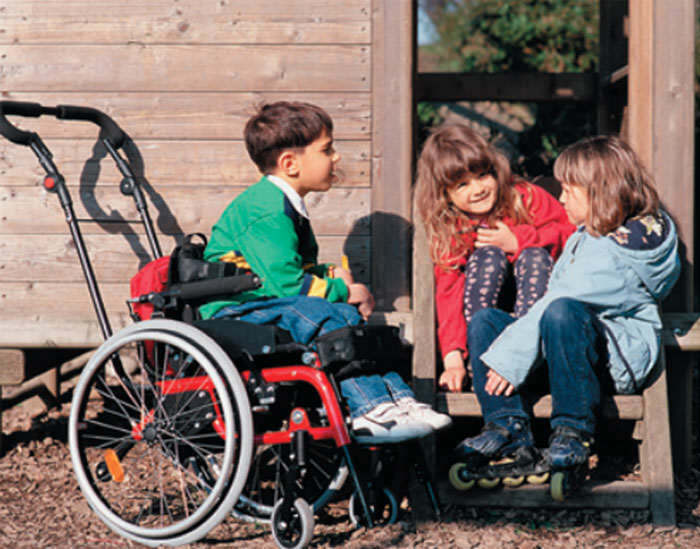 It means the Levo LCEV junior standing wheelchair is your child's full partner in play and learning. Seat width (SW) 11.8"/13.8" 11.8"/13.8"
Total width (W) 19.3"/21.3" 19.3"/21.3"
Total length (L) 27.1"- 28.3" 30" - 32.7"
Total height (incl. backrest) (H) 21.6" 26"
Backrest upholstery height min. 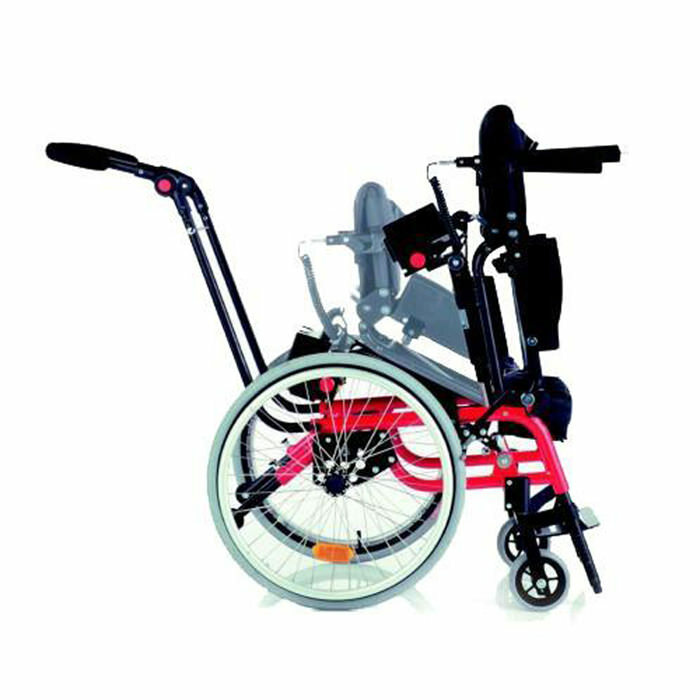 11" 11"
Seat upholstery height front 13" 15.7"/17.3"
Seat upholstery depth 9.4" - 15.7" 9.4" - 15.7"
Total weight (w/o detachable parts) 37 lbs. 42 lbs. (TLxTWxTH) 24.4" x 17.7" x 17" 24.4" x 17.7" x 17"